Operatives of a certain age will recall when GOTV meant: go to your vehicle, drive to your poll, and vote for your man. Then drive to your poll in the next neighborhood, and vote for your man. Then drive to your poll in the next town, and vote for your man. And then, etc. etc. ... with the convenience of a single ballot! 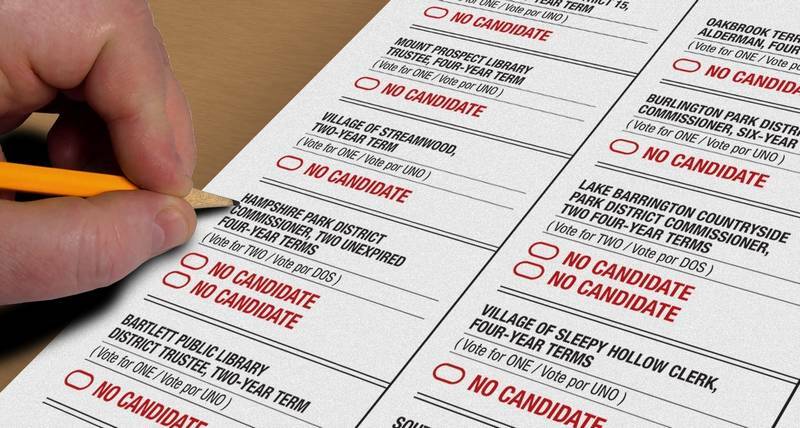 Of course some will look at a ballot like that and see nothing but partisan gerrymandering. The Independent Maps coalition issued a strongly-worded statement: "Should the career politicians be drawing the electoral maps, even while there are no candidates on the ballot? Or should Independent Maps be drawing the electoral maps, even while there are no candidates on the ballot? We think the choice is clear."